The Hoss Hall of Fame is an elite group of honoured Hosses who have powered their way through hockey and made an impact on the game with their attitude, style and charisma. We won't get into the Hockey Hall of Fame's selection committee overlooking Pat Burns and snubbing a candidate who has the credentials to be in the HHOF (not to mention the "humanitarian circumstances"), as others have done that already, numerous times, and many support these arguments. 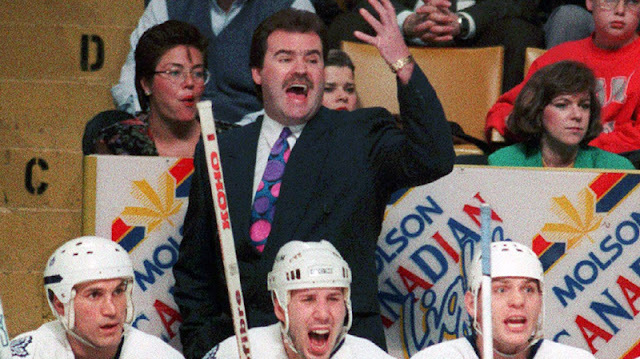 Here, we will honour Pat Burns as a true Hoss behind the bench, and induct him into our Hoss Hall of Fame. In 14 seasons of coaching in the NHL, Burns coached 1,019 regular season games and had an amazing 501-353-151-14 record. He is the only coach in NHL history to win three Jack Adams Award as the leagues best coach - and with three different teams - Montreal in 1989, Toronto in 1993, and Boston in 1998. Burns was such a Hoss, before he even started coaching he was a badass police officer. Then when he started coaching, his Hossness overpowered the league as he captured the Jack Adams in his rookie year of coaching. Burns was animated behind the bench, and always a character, as his reputation as one of the best coaches in hockey grew. Burns won the Stanley Cup with the New Jersey Devils in 2003, adding more hardware to his trophy case. Forced to retire in 2004 due to a battle with colon cancer, Burns would beat the disease only to have it return in his liver the next year. Burns would beat that cancer as well, however the cancer would return in 2009, diagnosed as incurable. Burns is a survivor, and always will be. Burns will no doubt be inducted into the Hockey Hall of Fame one day, but he is already a Hall of Famer, in the Hall of Hosses. Pat Burns is a legend. A classy coach who always supported his players. 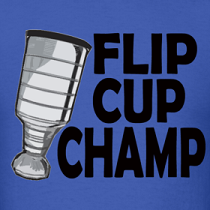 Wendel was our first bud..
Pat Burns was a great Leaf coach. can't remember a better one since!